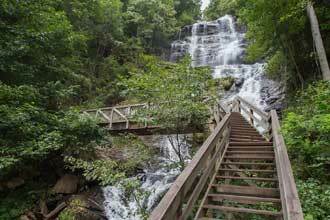 Hike to the highest waterfall in Georgia and one of the state's seven natural wonders, the 729-foot Amicalola Falls. 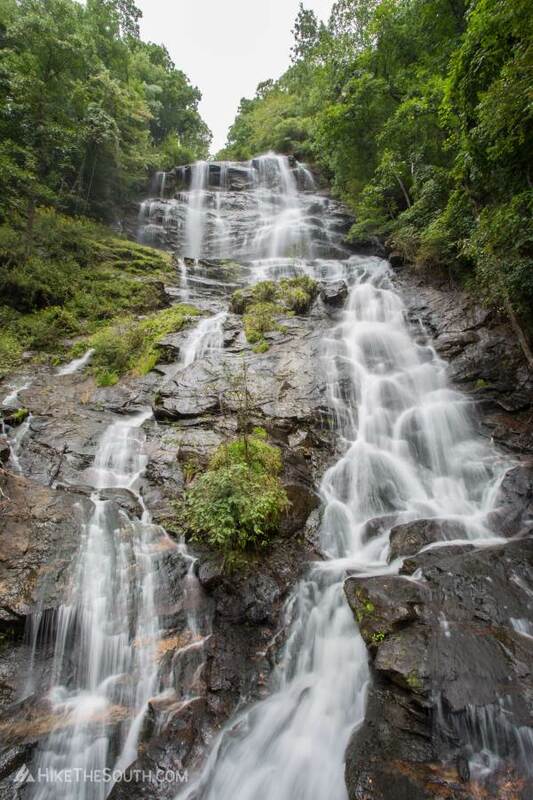 Trek along a rushing creek, climb an endless amount of steps to cross below the falls, and take in lengthy views from the top of the falls. 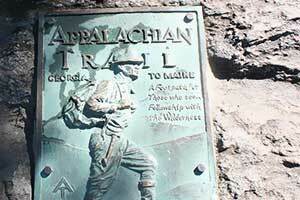 You'll also travel along the official AT approach trail that leads to Springer Mountain. Dogs are allowed but are not recommended to take on the grated metal steps. 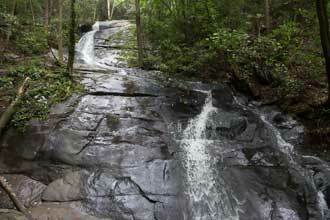 Begin this hike at the Amicalola Falls Visitor Center parking right when you enter the park. 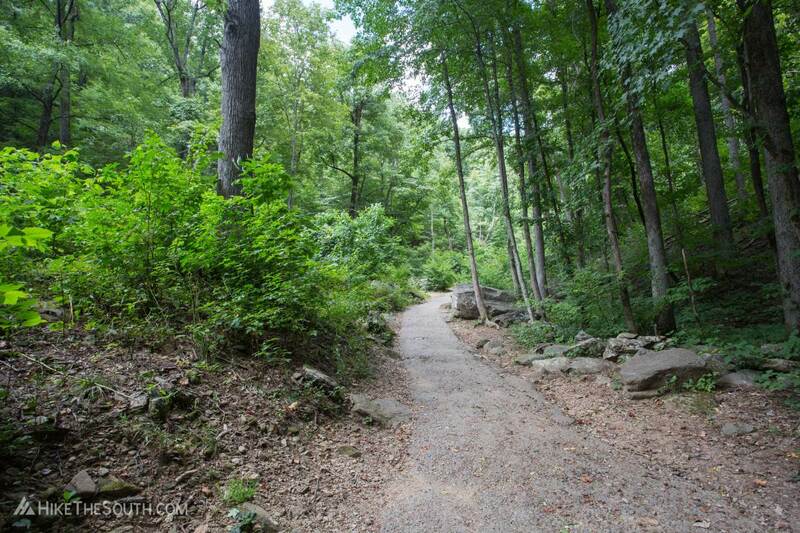 You can take this loop either way, but the more fun way (read more difficult) begins along the Creek Trail on the other side of the triangle-shaped parking lot across from the Visitor Center. 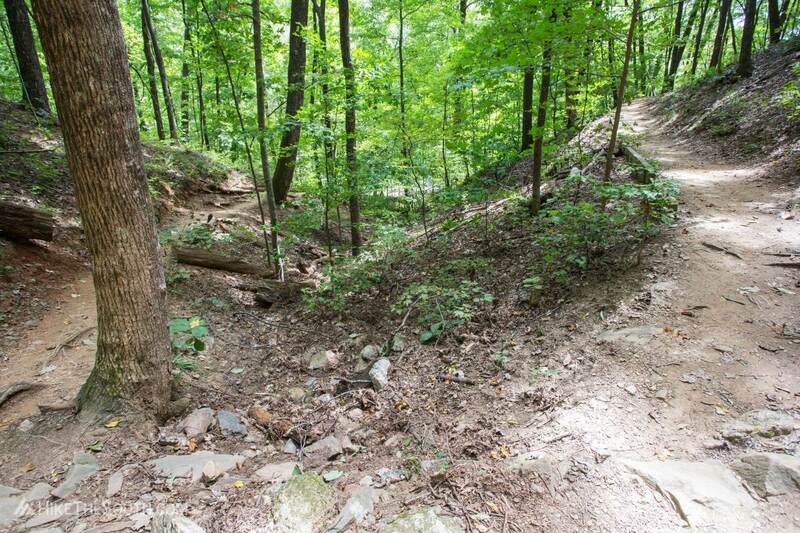 Despite its name, Creek Trail departs the creek fairly quickly and takes you up some steps, giving you just a taste of what's to come. 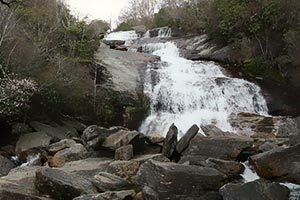 At the two intersections, follow the signs to the base of the falls. 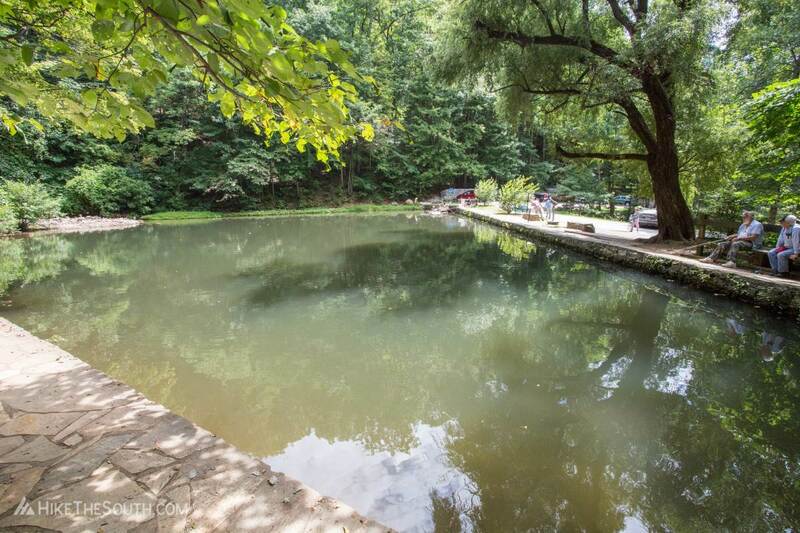 Once you reach the Reflection Pool, stay to the left, heading up the steep paved-gravel path. 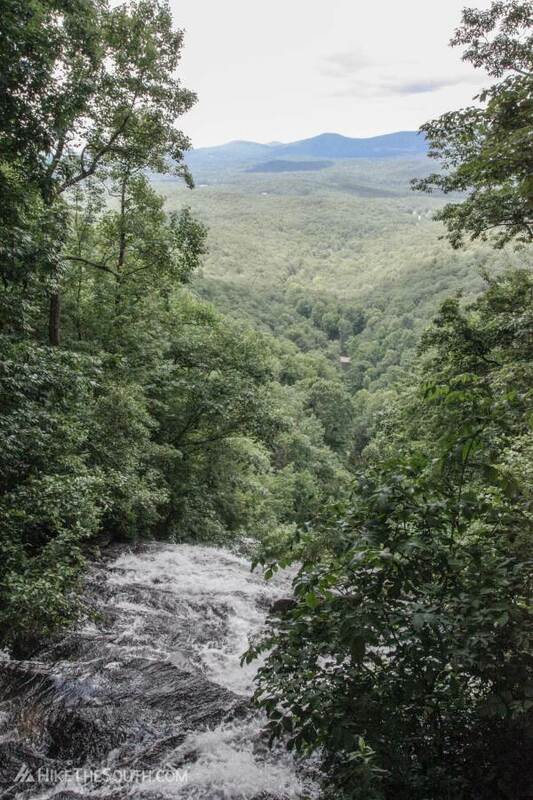 At about 3/4 a mile in you'll reach you're first view of Amicalola Falls. Up you go over 175 steps to reach the bridge crossing the base of the falls. In the right conditions you can get a little wet here. Just past the falls you'll see another set of steps leading sharply to the right. 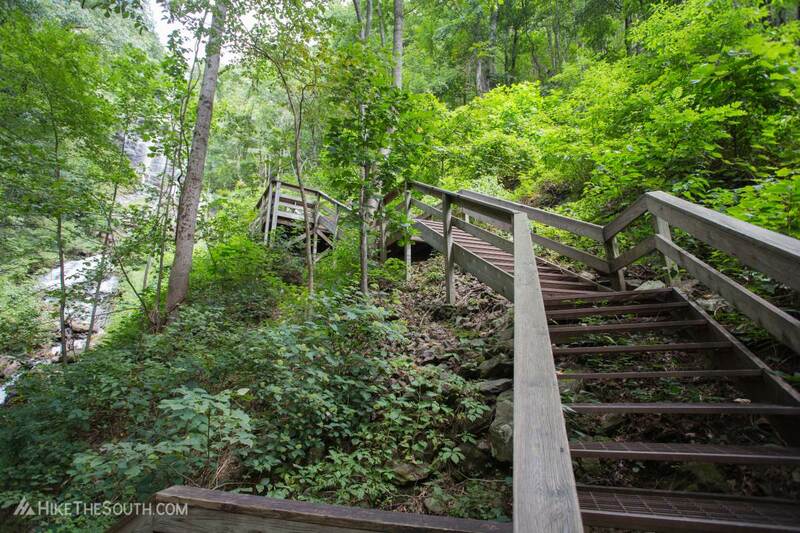 This is where the real work begins, climbing up another 425 steps to reach the top of the falls. Pretend the parking lot isn't there and ignore the realization that you could have driven to the top. 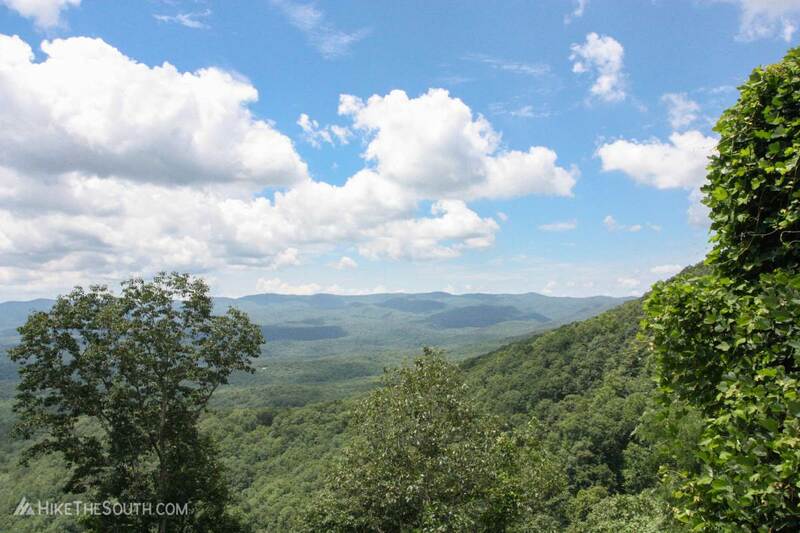 Take in the view from the top of Amicalola Falls before continuing on up concrete steps to another parking lot. Turn right to begin the East Ridge Trail at the end of the lot past the restrooms. 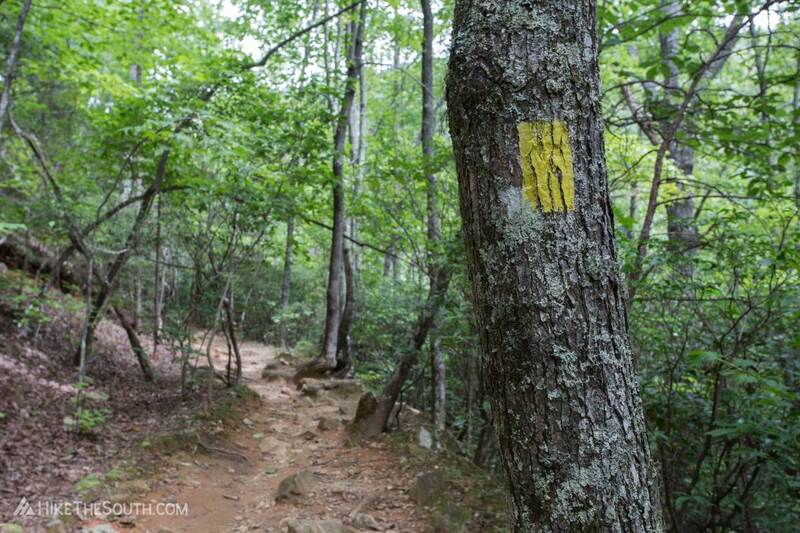 This trail will take you back to the Visitor Center where you started. Go slow here, the path is very rocky at first, but you do have several great views along the way. The Creek Trail begins opposite the Visitor Center at the entrance of the park on the other side of the small triangle-shaped lot. 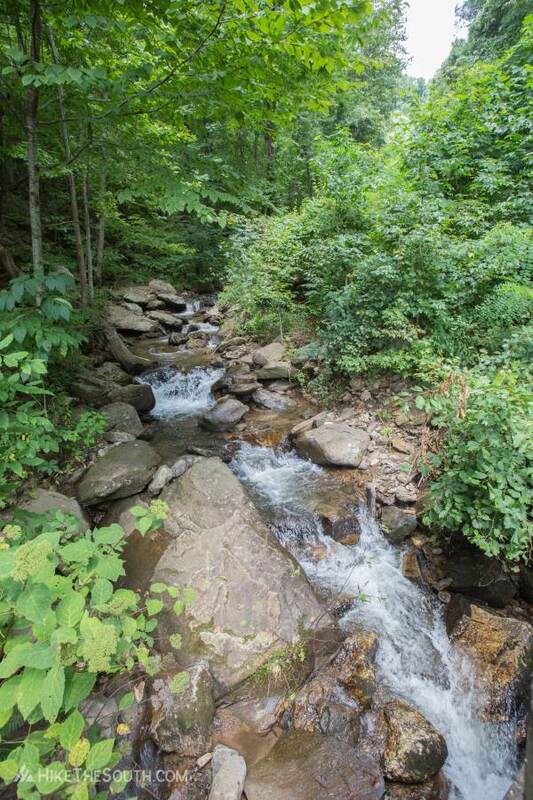 You should hear the creek. 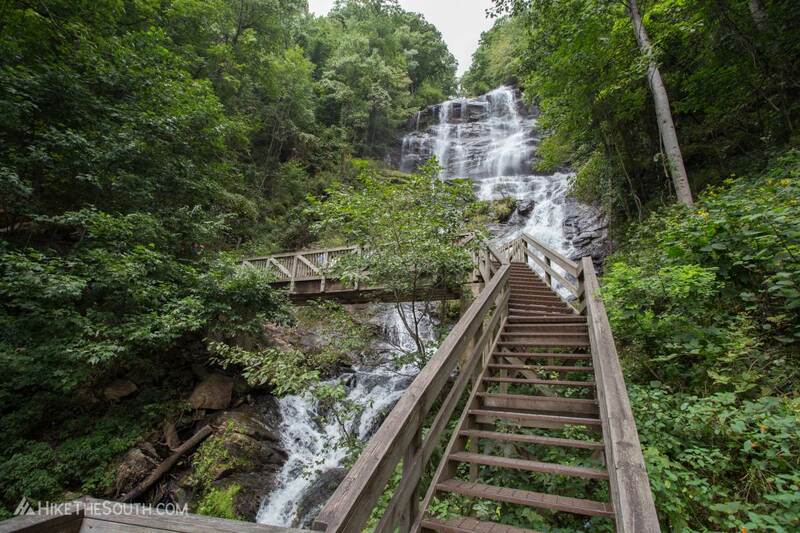 There are a total of 600 steps to hike to the top of the falls. Or you could drive up, but where's the fun in that. 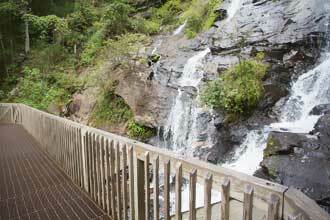 Dogs are allowed here but won't do well on this loop with the grated metal steps going up to the falls. 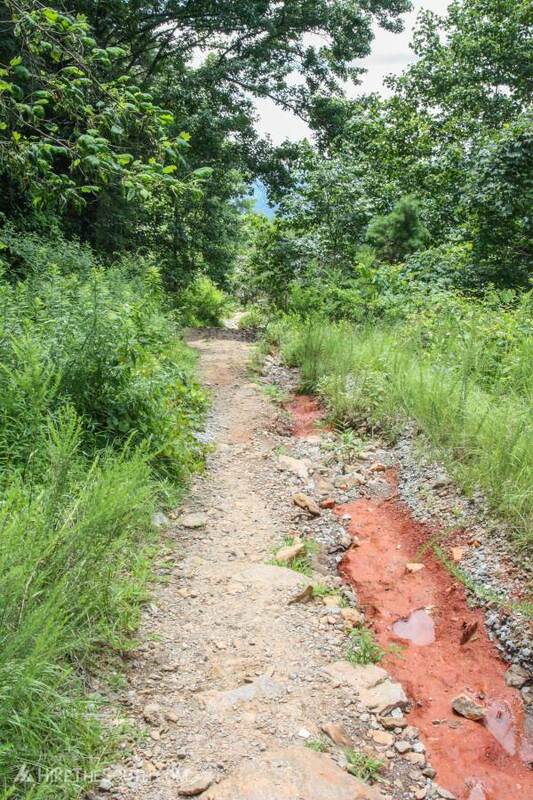 Stay on the maintained paths. Wet rocks can be very slippery. 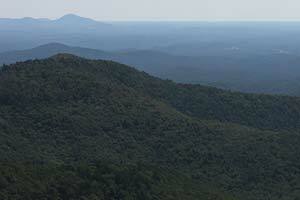 The one negative about this hike is you definitely won't be enjoying it in solitude. 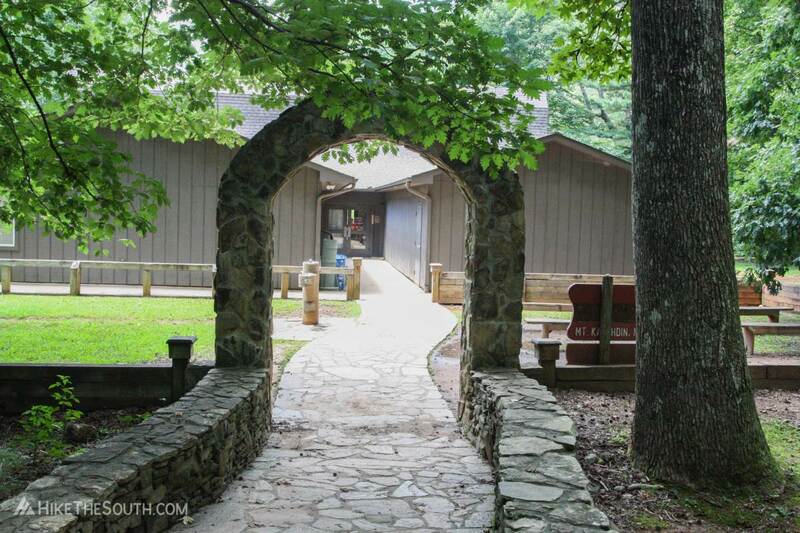 This is one of the most popular parks in Georgia, and for good reason. This loop has a little bit of everything. 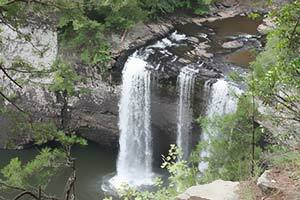 Excellent views, massive waterfall and babbling creeks. 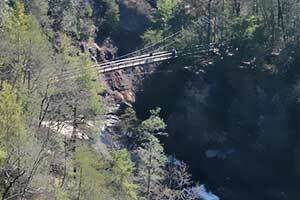 The section to the base of the falls is paved, but you also get a mix of well maintained dirt paths, very rocky sections, and wide gravel roads to form this loop.